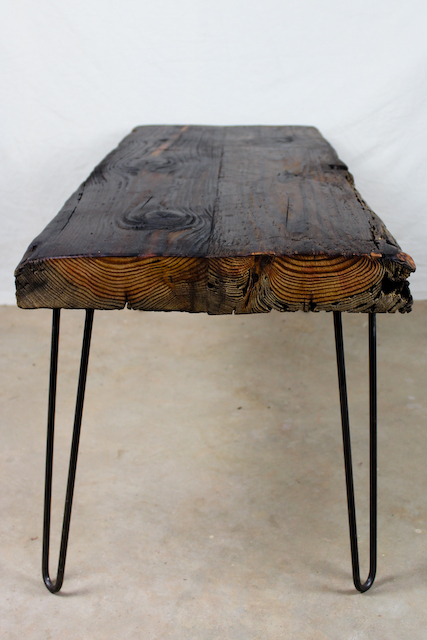 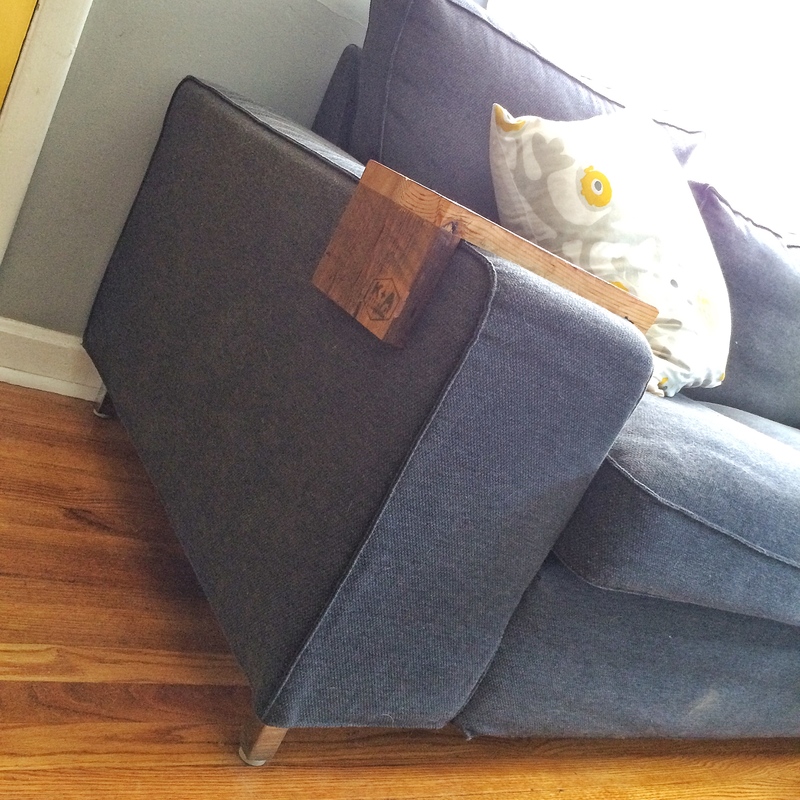 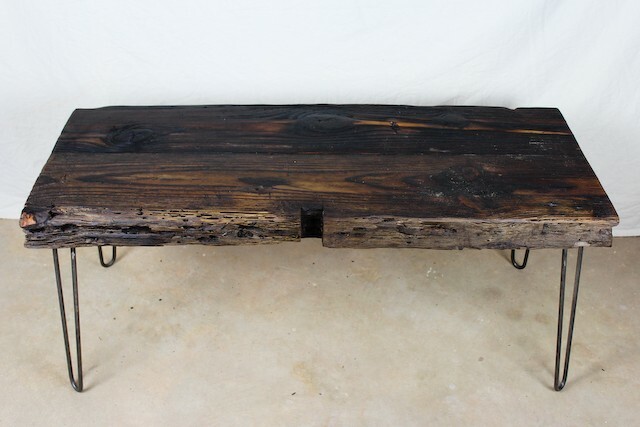 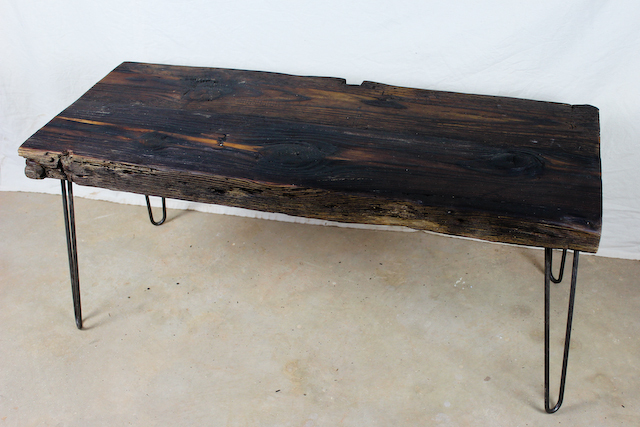 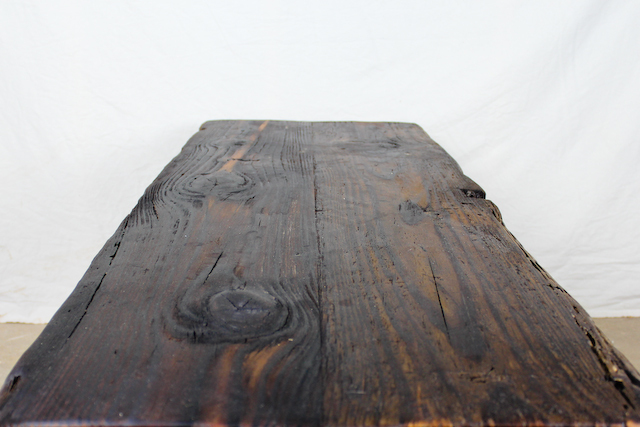 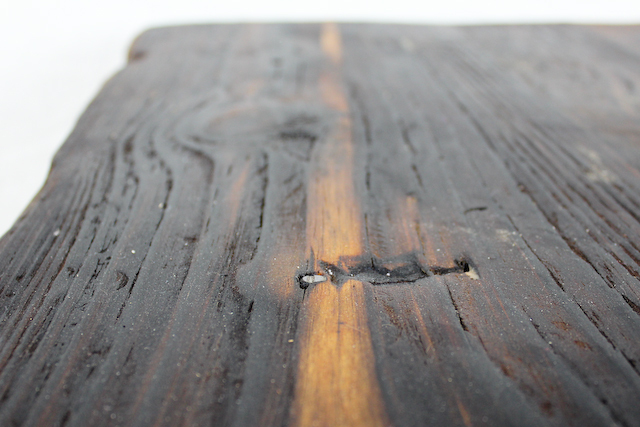 We just completed this reclaimed beam coffee table. 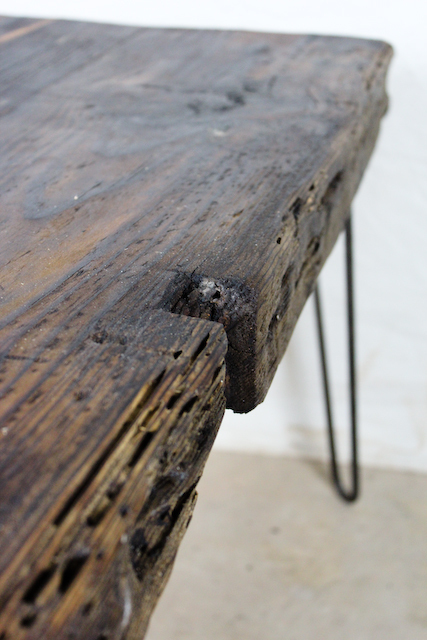 We used steel hairpin legs to keep the piece from getting bottom heavy. 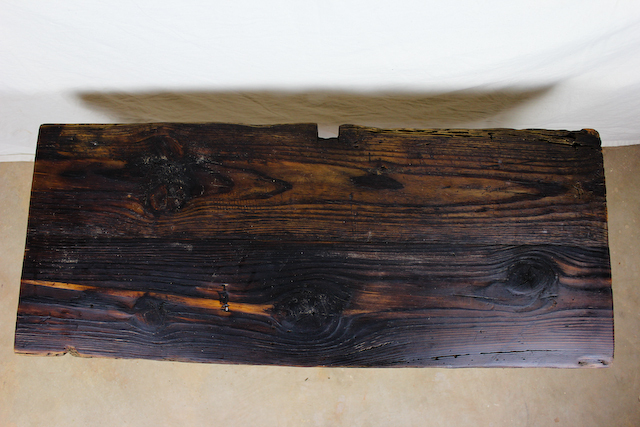 Love the wood and it looks great!